When Metal Gear Survive was first announced, many people (myself included) were confused and somewhat amused. As I learned more, I only grew more confused. From what we knew, Survive was an open-world survival title with base-building and resource management, and would also have a horde mode and RPG elements. It seemed like a weird and surprising direction for a series that had been focused almost entirely on stealth, cinematic cutscenes and monologues about nuclear proliferation. After playing over a dozen hours or so of Metal Gear Survive, the most surprising thing about it is how much I’m enjoying it. Survive is barely a proper Metal Gear game. While the narrative is starting to connect more to MGS V over time, the links feel more like fanservice than anything else. People wanting more of the traditional MGS should abandon that desire because just like was promised before release, Survive is first and foremost an open-world survival action game. 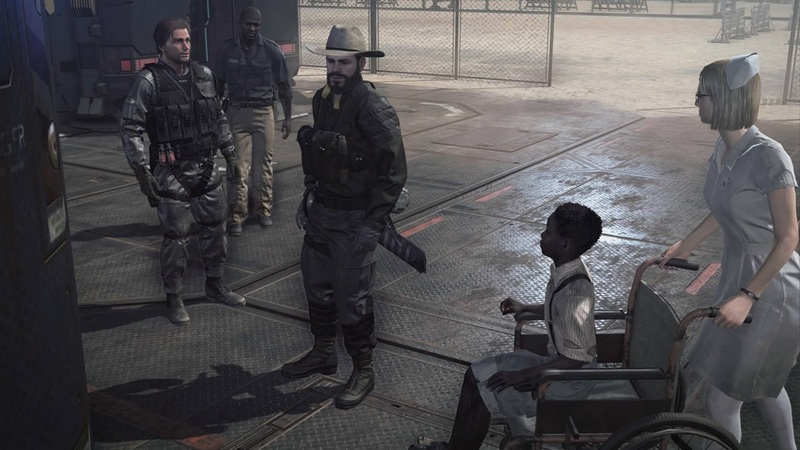 It uses many assets and elements taken from Metal Gear Solid V like terrain, weapons and animations, but repurposes them for a new experience focused on crystal-headed zombies and other strange creatures. The bulk of Survive’s early gameplay is about staying alive and creating a small base in the middle of Hell. Not actual Hell in the religious sense, but characters in the game constantly reference The Divine Comedy and other such things, like demons. These early hours can be a bit dull as players are tasked with simplistic fetch quests, but once I got past them, things have begun to open up more and more. 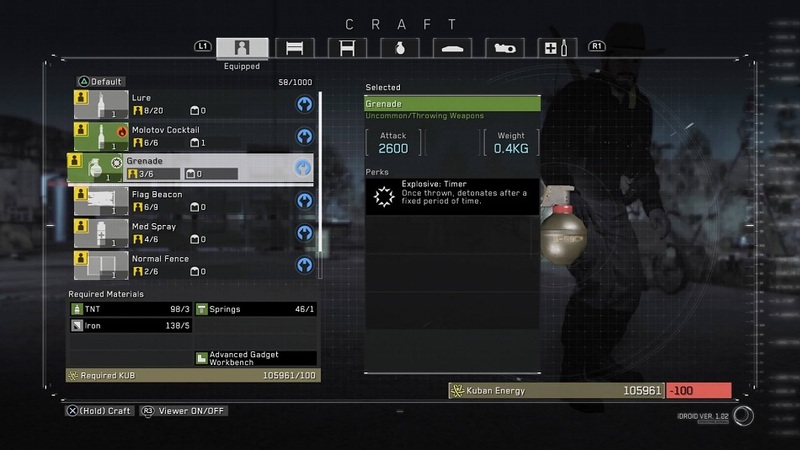 There’s an in-depth crafting system that allows players to build new weapons, fences, gadgets, clothes and more. Survivors can also cook up dozens of dishes using plants and wildlife they gather out in the world. The tutorial does a good job teaching players how to use all of these systems, but it can still feel a bit overwhelming. Encounters with zombies and other creatures are tense. Guns are rare early on, and their ammo isn’t easy to come by. Having to rely on bows and arrows, spears, sticks and basic melee attacks to fight off zombies has forced me to often avoid conflict or to quietly pick off enemies. It’s nerve-wracking, and “The Dust” is an environment hazard that makes it both dangerous to navigate due to a lack of oxygen while also making it tough to see. Becoming disoriented in The Dust often means having to manage hunger, thirst and injuries while barely getting back to base alive. 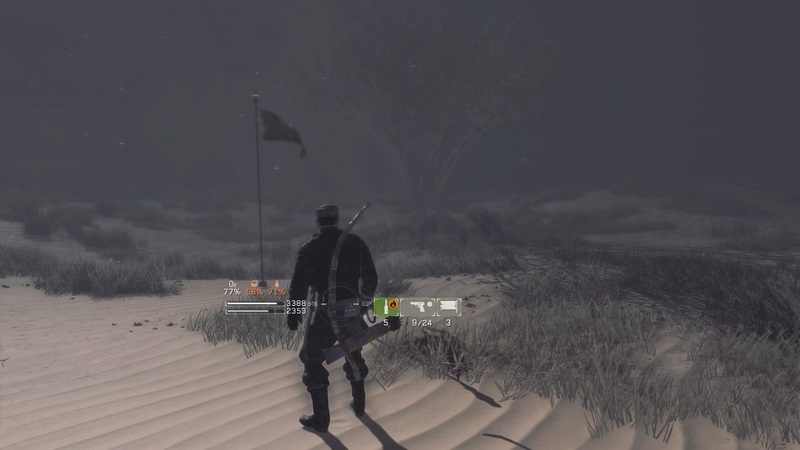 Perhaps in another 12 hours I’ll be more powerful and loaded up with ammo and guns, but for now Metal Gear Survive is scary and tense in a way few open-world games are. In terms of its technical side, Survive does require players to be always online, even when in the singleplayer mode, and my experience with this hasn’t been a problem. However, some have reported server outages and losing progress when internet connections drop. The game also contains microtransactions, but I was relieved to find that they rarely pop up. I’ve never been asked to buy coins, and I’ve yet to reach a point where I felt it was necessary to spend real money to move forward. Maybe this will change later, but for now the experience hasn’t been tainted by the online requirement or deal in-game purchases. 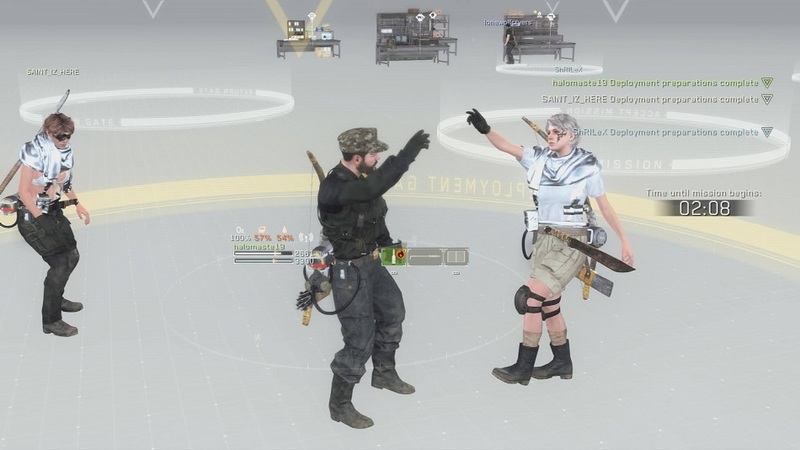 As players who tried the recent beta trials will know, Metal Gear Survive also has a multiplayer component that ties into the singleplayer. Players take their character and any supplies earned into the multi, play and earn more resources, and then bring it all back to singleplayer. It’s one persistent character and inventory across both modes. I was given access to the online co-op missions after only an hour or so of playing Survive, but all missions assume the player is close to (or beyond) level 20. After a dozen-ish hours I’m almost level 17, making the co-op difficult to complete unless grouped up with higher level survivors. I’m excited to spend more time with co-op in the future, but for now I’ll need to level up more to get more enjoyment out the missions. As I am now, enemies are just too deadly and take too many hits to kill. 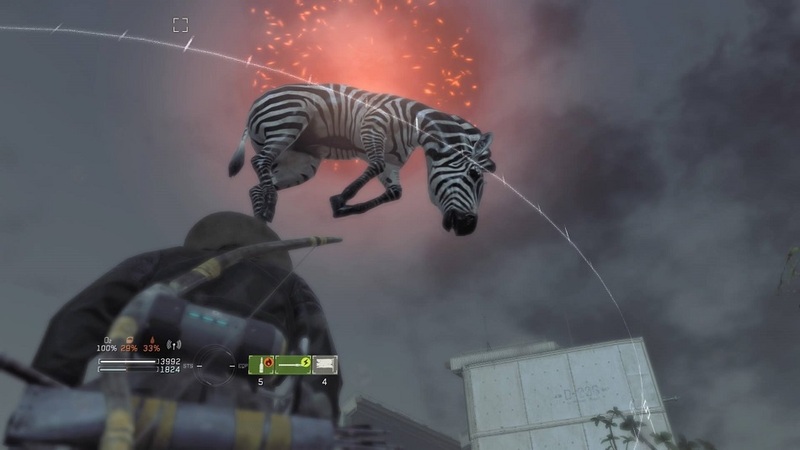 Metal Gear Survive is bizarre, and not entirely because of its crystal-headed zombies and airborne zebras. This is the first new Metal Gear game since series creator Hideo Kojima and Konami had their famous falling out, and this is is also the first Metal Gear title not built around Big Boss in some way. It’s possible that such a choice is meta-commentary about the status of the franchise, but I’ll have to play more to figure out not only what the true answer is, but also how I feel about Survive overall. But for now? I’m all in with this tense, bizarre, weird and exciting effort. This seems to be the general consensus on the game. That it makes a good first impression and is actually kind of fun. Just wrapped the game up (about 18 hours start to credits) and it’s a stellar zombie survival game, that just happens to be in the Metal Gear universe. Great combat, monsters, crafting… the biggest problem I’ve seen is the weird nickel and diming – charging players real money to start a second character slot or send more than one AI search team out at the same time.